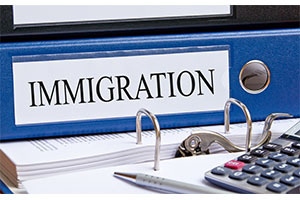 This is known as the preference system and determines when a person’s immigrant visa will be available based on the quota system. Family first preference: Unmarried sons and daughters (over 21 years of age) of U.S. citizens. Family second preference: Spouses, children and unmarried sons and daughters of permanent residents divided into Family 2A - Spouses and children (unmarried, under age 21) and Family 2B - Adult unmarried sons and daughters of permanent residents. Family third preference: married sons and daughters of U.S. citizens. Family fourth preference: brothers and sisters of adult U.S. citizens. Employment Based First Preference: Priority Workers, including aliens of extraordinary ability in the arts, sciences, business, education and athletics; managers and executives of international companies being transferred permanently to the U.S.; and outstanding professors and researchers. Labor certification is not required for employment based first preference Please note those priority workers of “extraordinary ability” do not require an offer of employment as long as they will continue to work in their area of expertise. This only applies to extraordinary ability. Employment Based Second Preference: Members of the professions holding advanced degrees (any degree above a bachelors) and people of exceptional merit and ability in the sciences, arts or business. Labor certification is required unless waived in the National Interest. Employment Based Third Preference: Skilled workers (must be filling a position that requires two years of training and experience), professionals with bachelors degrees and unskilled workers. Labor certification is required. Employment Based Fourth Preference: Certain “special” immigrants. This category includes juveniles under Court protection; employees of the American Consulate in Hong Kong; and religious workers, such as ministers, who have at least a bachelor’s degree. Employment Based Fifth Preference: Employment creation (investors), people who have invested at least $1 Million in the US or $500,000 for investors who invest in a targeted rural or high-unemployment area in the U.S. Applicants who are Immediate Relatives of U.S. Citizens: Citizenship may be on the basis of birth in the U.S. or through naturalization. Immediate relatives include spouses, unmarried sons and daughters under the age of twenty-one, and parents of adult citizens (over the age of 21). This category also includes spouses of deceased U.S. citizens, in certain cases. Refugees: Refugees are those who are unwilling to, or cannot, return to their country of origin because they fear persecution based on race, religion, nationality, political views or membership in a particular group.